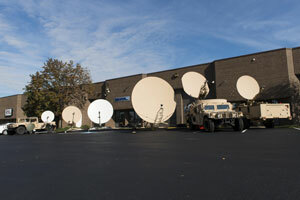 Global SATCOM Technology, Inc. (Global SATCOM) is an international leader in transportable satellite communications systems with ISO 9001:2008 certification. We design, manufacture, integrate, test, install, and service satellite-related telecommunication systems for the specific needs of each of our customers. Global SATCOM's Family of Terminals provides our customers with cutting edge technology products and superior service with a commitment to quality and attention to detail. Global SATCOM is prepared to lead the development of transportable satellite communications systems well into the 21st Century. Copyright © 2002-2019 Global SATCOM Technology, Inc. All rights reserved.